On Sept. 21, 2018, Governor Ralph DLG Torres of the Commonwealth of the Northern Mariana Islands (CNMI) signed House Bill 20-178 into law. This legislation, also known as the Taulamwarr Sensible CNMI Cannabis Act of 2018, lifts all prohibition on cannabis and related products. TheMarijuana Policy Project offers a summary of the bill. In one fell swoop, the CNMI government legalized cannabis and hemp for recreational, medical and industrial purposes — the perfect trifecta pulled off with a simple stroke of a pen. 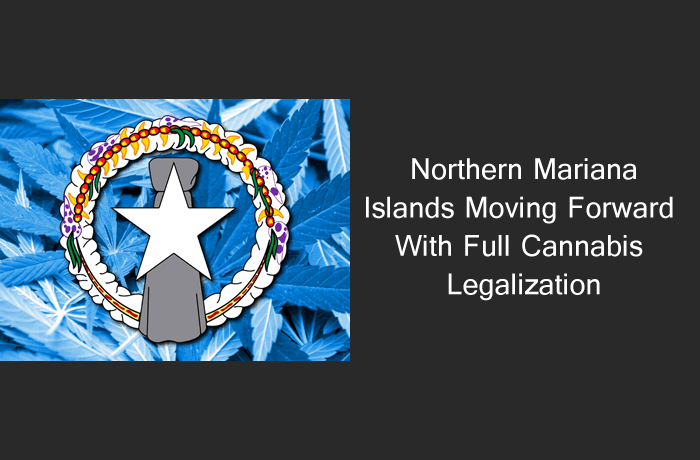 In taking this groundbreaking action, the Northern Mariana Islands became the first US territory to grant full legal status to recreational adult-use cannabis. It’s also the first state or US possession to accomplish this through legislative decree rather than public referendum. From a political standpoint, the initiative is notable for another reason. Governor Torres is a Republican, and the House and Senate of the Northern Mariana Islands are under Republican party control. Republicans have historically been hostile toward recreational cannabis, many even skeptical of medical marijuana until recently. And yet, on the CNMI, they jumped in feet first on full-spectrum legalization. Adults on the CNMI will be eligible to possess up to one ounce of marijuana, 16 ounces of cannabis products in solid form, 72 ounces of liquid cannabis, or five grams of extract at one time. Public use of these items will be prohibited. However, consumption lounges will open on the island that allow visitors to bring and use their own supplies, or purchase them on-site. Those who would like to grow their own at home (or in another private location) will be free to do so. However, they will be required to add their names to a government registry. Home growers will be allowed to keep up to six mature and 12 immature plants on-site — or double those amounts if they are consuming cannabis for an approved medical condition. Anyone caught breaking these rules will be subject to fines, or possible imprisonment if there are multiple violations. Cannabis products purchased from licensed businesses cannot be resold or given to anyone under the age of 21. Failure to heed these admonitions could lead to immediate arrest and prosecution. The new law calls for the creation of a Cannabis Commission, which will be responsible for implementing and enforcing these and other rules and regulations. Further layers will likely be added to the CNMI regulatory structure once this commission has been established. The access to cannabis products for tourists, for example, is still unclear. But for now, the rules listed are enough to form the outline of a viable system. They noted that legalized cannabis had created more than 100,000 new jobs in the 29 US states that have legalized one or more forms of the plant. Analysts are predicting similar or even better results in the newly decriminalized hemp industry, which will be buoyed by a year-round growing season on the tropical CNMI. In addition to the economic rationale, the drafters of HB 20-178 listed other factors in support of expansive cannabis and hemp legalization. The new statute approves medical marijuana for more than 30 conditions, including cancer, diabetes, Parkinson’s disease, chronic pain, traumatic brain injury, post-traumatic stress disorder, stroke, asthma, muscular dystrophy and assorted neurological disorders. CNMI legislators expressed their concern regarding the opioid epidemic. They predict that medical marijuana will reduce overdoses, and the addiction to and abuse of prescription narcotics on the islands, by 25 percent. Legislators also mentioned the islands’ ongoing struggle with methamphetamine abuse. Meth addiction has been a problem there since the early 1990s, and it is hoped that recreational cannabis will reduce the vibrancy and profitability of the illicit drug market. Aside from the issue of drug dependency, illegal drug sales are associated with violent crime and higher law enforcement costs. CNMI lawmakers are looking to liberate the recreational drug scene from criminal control. Cannabis will be taxed on the Northern Marianas, and licensing fees will be collected from prospective growers, manufacturers and retailers. CNMI legislators have big plans for these added revenues. They recommend that cannabis revenues be used to support public safety programs, public school infrastructure initiatives, CNMI retirement funds and drug abuse treatment programs, among other worthy causes. In the Taulamwarr Sensible CNMI Cannabis Act, drafters proposed an excise tax of 10 percent on all cannabis grown, and set licensing fees at $4,500 for entrepreneurs planning to become involved in the industry. Governor Torres has rejected these suggestions as too generous, however, and has asked the House and Senate to come back with a companion bill for HB 20-178 that will set tax rates and fees even higher. He also wants steeper financial penalties for those who break the rules and regulations that will be administered by the Cannabis Commission. There is money to be made here for everyone, and the CNMI government is obviously eager to claim its piece of the action. 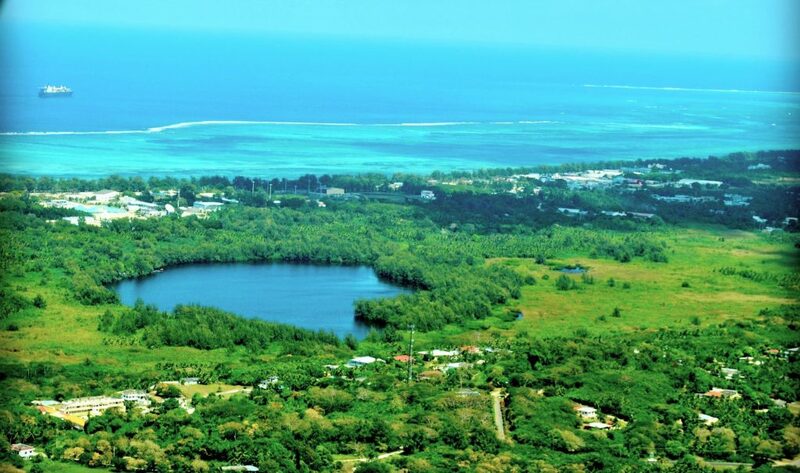 Saipan is the largest of the Northern Mariana Islands. Saipan Rep. Joseph P. Deleon Guerrero introduced HB 20-178, lifting the prohibition of cannabis on the islands. The CNMI House and Senate had previously considered bills to legalize medical marijuana exclusively, but these bills never gained the traction needed to pass. Advocates of broad-based legalization expressed concerns about the economic viability of medical marijuana alone. With a population of just 53,000, the CNMI customer base for medicinal cannabis products may not have been sufficient to support successful enterprises in agriculture, manufacturing and retail. Legalizing across the board avoids this problem, as recreational cannabis is already popular on the islands. According to the Saipan Tribune, the 2012 United Nations World Drug Report revealed that the CNMI had the second-highest rate of cannabis use in the world, with 22.2 percent of adults consuming it for recreational or medical reasons. This should encourage investors and entrepreneurs to support legal cannabis initiatives, since their activities can now be scaled to profitable levels. The decision to include industrial hemp in the legalization scheme was especially serendipitous. Just three months after Governor Torres signed the Taulamwarr Sensible CNMI Cannabis Act, President Trump put his signature on the latest omnibus Farm Bill, which rescinded the federal government’s ban on industrial hemp. Hemp is used in more than 50,000 products, covering a wide range of categories that includes food, textiles, construction materials, biofuels and plastics. The versatility of hemp should make it ideal for the CNMI economy, since it can reduce import needs and expenses while promoting self-sufficiency. Cannabis tourism— both medical and recreational — may boost the prospects of cannabis on the Northern Mariana Islands as well. But this effect may be relatively minor. The Northern Mariana Islands are around 6,000 miles from the mainland US and are largely unknown to US and Canadian travelers. Most visitors to the islands come from China and Japan, where cannabis use for medical or recreational purposes remains illegal and levels of illicit use are lower than in North America. CNMI, An Economy In Peril? Overall, the islands’ economy has been strong. Rates of growth in gross national product reached historical highs in 2016 and 2017, surpassing the 25-percent mark both years. A Chinese casino company called Imperial Pacific International Holdings brought the gambling industry to the CNMI in 2014, and the impact of its Imperial Pacific Resort casino on the tourist trade is largely responsible for the islands’ burst of economic expansion. But, according to Bloomberg Businessweek, there are storm clouds on the CNMI horizon. In the last couple of years, Imperial Pacific International has been reporting immense profits from its Northern Marianas casino — profits so immense that they seem completely unrealistic, given the territory’s remote location. Consequently, some industry experts have concluded that IPI operations are being used as a front for money laundering. Investigations have revealed that Governor Torres and several members of his family have received millions of dollars in cash donations from IPI, adding yet another layer of intrigue to a developing storyline. If improprieties are proven, the casino economy on the CNMI could go belly up — and that would mean big trouble for everyone. CNMI legislators in the House and Senate know all about the islands’ unhealthy gambling dependency. They’ve even had a preview of what a casino-less economy would look like, when IPI was forced to shut down its establishment last fall because of damage caused by Super Typhoon Yutu in late October. A scandal could lead to the permanent shuttering of the Pacific International Resort and bring a quick and painful end to the CNMI’s recent surge in gross national product. Knowledge of the possibilities may explain why Governor Torres and the legislature were so anxious to legalize cannabis and hemp. There’s literally no other option they could pursue that offers so much potential for rapid and sustainable economic growth. Cannabis sales on the CNMI won’t begin for a while. First, the newly formed Commonwealth Cannabis Commission must establish a full regulatory structure that will cover all sectors of the hemp and cannabis trade. Specifically, they must create rules and regulations for six categories of industry participants: producers, wholesalers, processors, retailers, lounge owners and testing facility operators. The commission has been given just six months to complete its mission. This means that cannabis products for recreational and medical marijuana uses should be available on the islands before the end of 2019. Other US territories like Guam, the US Virgin Islands and Puerto Rico will undoubtedly be monitoring the situation on the Northern Marianas over the coming months and years. If three-part legalization proves to be a success (and we’ll find out about that soon enough), they may be quick to follow the CNMI example.